Broadway stars Jenn Colella, Jim Dale, Christine Ebersole andMartha Plimpton will serve as gala award presenters at the upcoming 68th annual Outer Critics Circle Awards ceremony May 24 at Sardi’s Restaurant. 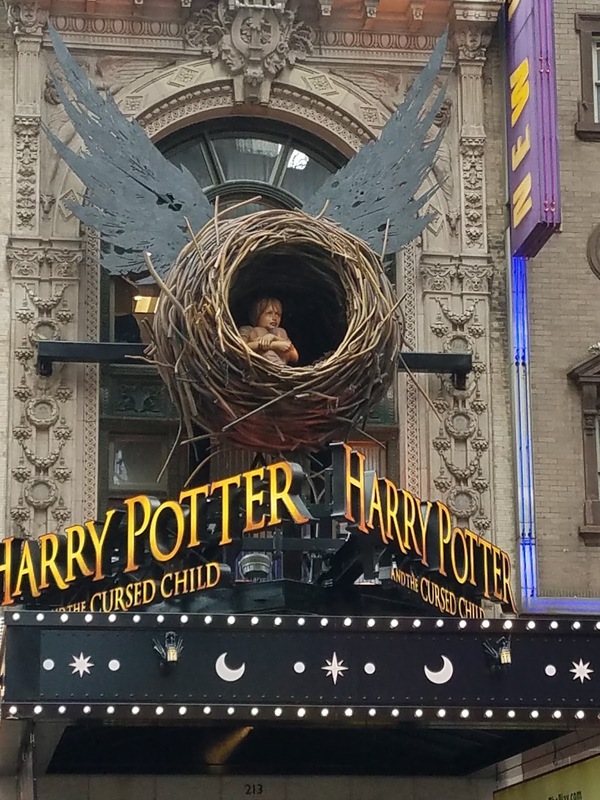 The Broadway transfer of the London hit sequel story to the Harry Potter books. The show is presented in two parts, each just over two and a half hours, and yes, you really do need to see both parts. 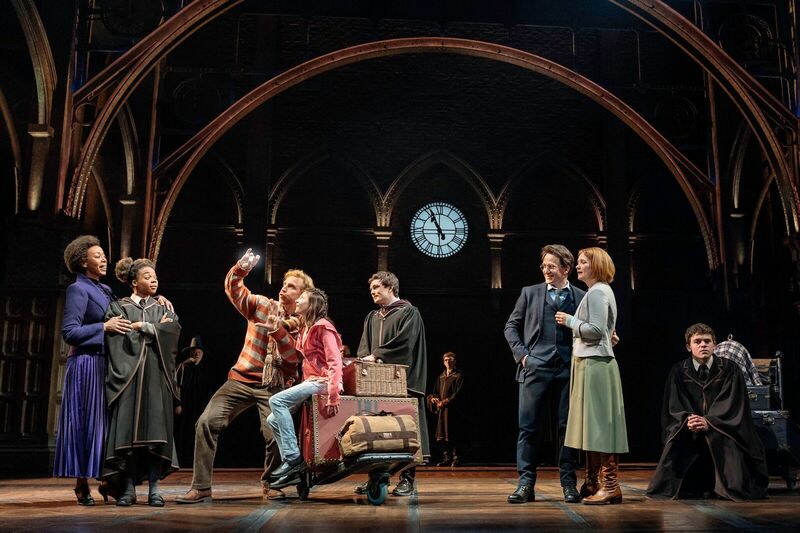 And no, you don't have to know the story of Harry and his magical friends to enjoy this time-hopping story by Jack Thorne based on a story by Harry Potter book author J.K. Rowling and stage director John Tiffany. Almost 20 years after the books ended, Harry (Jamie Parker),an employee of the Ministry of Magic and his wife, Ginny (Poppy Miller) are the parents of three kids, the eldest of which, Albus Severus (Sam Clemmett) is about to head off for wizard training at Hogwarts. Joke shop owner Ron Weasley (an amusing Paul Thornley) and Hermione Granger (Noma Dumezweni), who is now Minister of Magic, send their daughter, Rose (Susan Heyward) on the Hogwart's Express as well. Note: the color-blind casting of African-American Dumezweni threw me at first and had me wondering what happened to Hermione because in the one movie I had seen, Hermione was white. All Potter fans knew that Dumezweni was Hermione immediately, of course, because they knew from the books (which I hadn't read) that Hermione and Ron got married. At school, Harry befriends Scorpius Malfoy (a delightful Anthony Boyle), the son of Harry's nemesis Draco. I won't tell you more, as you will want to discover the plot yourself, but I will let you know that some events and characters from the past are revisited through time travel. 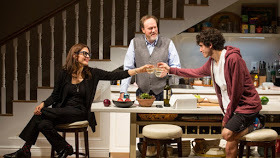 A thoroughly absorbing story with one of the most complex plots I ever have seen on stage. The special effects are dazzling. Intricate and at the same time, surprisingly simple. I won't give too many details because I don't want to spoil, but the time-travel effects are amazing (illusions and magic by Jamie Harrison). Millions of dollars well spent. 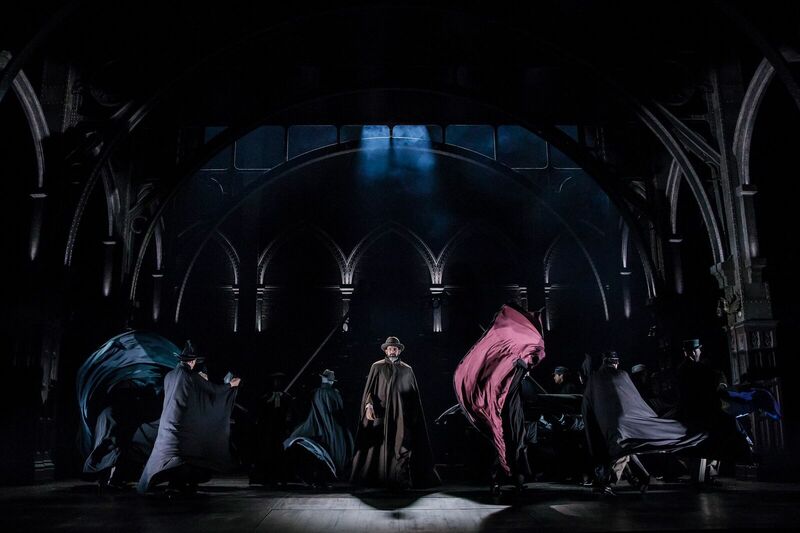 Thoroughly enjoyed this play, even though the Harry Potter books never appealed to me. The more than six-hour run time (I saw both parts in one day) went by very quickly. While the time travel is done very well, there is some confusion a couple of times when harry is remembering or dreaming about past events. We haven't traveled back in time and to someone not familiar with the books or movies, it is not immediately clear that these scenes are from the past. It's a small gripe-- 99 percent of the audience recognizes little Harry (Will Coombs and Landon Haas share the role). 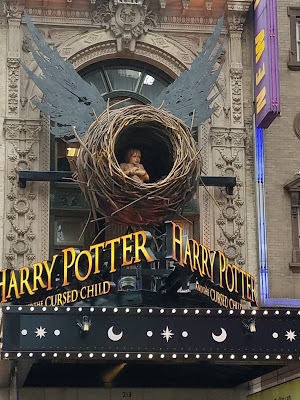 Harry Potter is doing theater magic at the Lyric Theatre, which has been refurbished to accommodate this show, at 214 West 43rd St., NYC. Movement by Steven Hoggett, (fabulous) Set by Christine Jones, Costumes by Katrina Lindsay, Musica and Arrangements by Imogen Heap, Lighting by Neil Austin, Sound by Gareth Fry, Music Supervision and Arrangements by Martin Lowe. Tickets are hard to get and expensive, but there is a lottery. Check out the page at harrypottertheplay.com. The running time of Part One is approximately 2 hours 40 minutes and Part Two runs approximately 2 hours 35 minutes. Both include one 20-minute intermission. I am not listing additional casting, because I don't want to spoil which characters might or might not appear in this sequel. The Eugene O'Neill 1939 marathon we all used to read in high school. You can brush up, or get your first taste, bu reading the Sparks Notes. 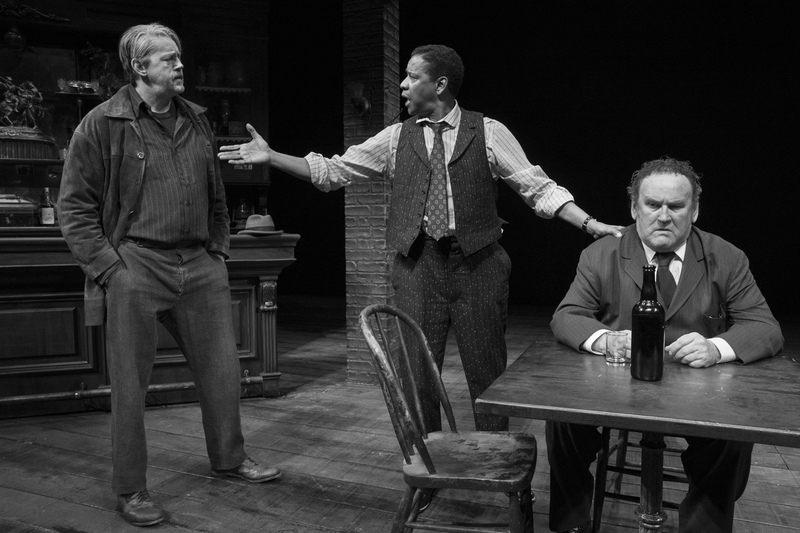 This Broadway revival stars Denzel Washington. Anytime Denzel washington is on stage, it's a highlight. He gives a good turn as salesman Theodore Hickman "Hickey." who makes periodic visits to a Greenwich Village dive bar (Set Designer Santo Loquasto gives us the moody atmosphere) run by, metaphorically named Harry Hope (Colm Meaney). Four hours of 12 drunk men thinking they are important. the women in the cast, of course, are prostitutes (and perhaps lesbians as portrayed by Director Goerge C. Wolfe?) Two intermissions and a brief pause between the "action" didn't help convince me that this much of my time was well spent on a revival of a play that should have been retired a long time ago. Is there anyone making decisions about what gets on a Broadway stage who actually cares about parity or is that all talk? Let's produce some shows that are a little bit interesting to women, who make up more than 65 percent of the ticket buyers. A cute Hollywood star who will mean good box office isn't enough. The Iceman Cometh provides a testosterone fix at the Bernard B. Jacobs Theatre, 242 west 45th st., NYC through July 1. Performances are at 7 pm Tuesday-Friday; 1:30 and 7:30 on Saturday and 1:30 pm on Sunday. 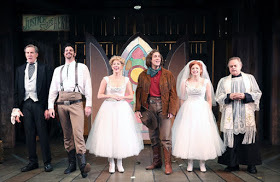 Tickets are $79- $209: icemanonbroadway.com. 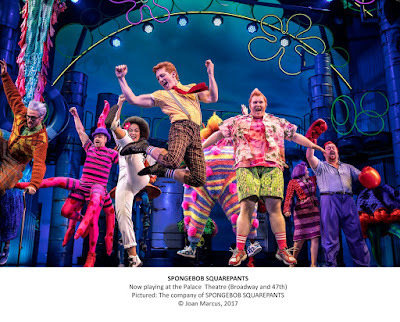 The company also features David Morse, Bill Irwin, Tammy Blanchard, Carolyn Braver, Austin Butler, Joe Forbrich, Nina Grollman, Thomas Michael Hammond, Neal Huff, Danny Mastrogiorgio, Dakin Matthews, Danny McCarthy, Jack McGee, Clark Middleton, Michael Potts, Reg Rogers and Frank Wood. Note: If you leave your seat, you will not be permitted back in the theater until a break.The line for the restroom is ridiculously long and there isn't enough time for everyone to get through before the short intermissions are over. The day I attended, the theater was FREEZING -- bring a sweater.